Suicide Blonde is a cross between the two strains Suicide and an Exodus Cheese F1. 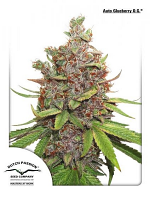 Suicide Blonde Feminized Cannabis Seeds by Kaliman Seeds: Suicide Blonde is a cross between the two strains Suicide and an Exodus Cheese F1. 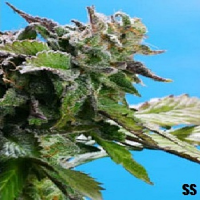 Suicide Blonde is reckoned to be the absolute cheesiest strain going with an intense Cheese aroma and taste. The Suicide mother is already more intensely cheesy than the original Exodus Cheese cut and at the same time the resin production of Suicide Blonde is off the map and far greater even than either parent strain. Face it, if you like Cheese, you'll love Suicide Blonde. 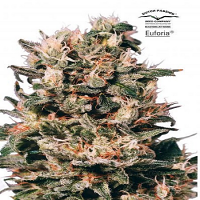 This is one high-yielding strain with up to 600gr/m2 and it is ready to crop in just 8 to 9 weeks of flowering.